The fact that we don't all have food poisoning is some kind of miracle. My dad likes to joke that living is a health hazard, and the older I get the less funny I find it, because it’s too damn true. The food would then be picked up by employees who would use their personal cars to deliver the food to restaurants, hotels, hospitals and schools. Bad enough that we’re all playing Russian roulette every time we eat out because of these clowns, but the fact that the company has actually been delivering unsafe food to sick people and children is almost cartoonishly Machiavellian, and requires serious punitive action. 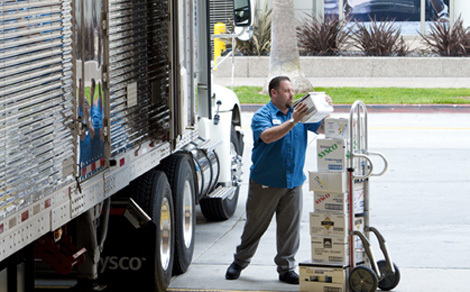 At least one California judge thought so too, fining Sysco $19.4 million. Fittingly, $3.3 million of that amount will fund state food banks and a food transportation inspection program. Disturbingly, this isn’t the only food safety scandal in the headlines. Yesterday we reported that an American-owned food supplier has been processing expired meat for use in McDonald’s, KFC and Pizza Hut outlets in Shanghai. Today, Reuters revealed that the risky food was also sold to customers at Starbucks, Burger King and McDonald’s in Japan. The list could keep growing as investigations continue, highlighting the widespread reach of a single, large company across multiple brands in multiple countries. At the risk of sounding like my dad: Nowhere is safe.